Boosting your inbox performance begins with an understanding of how your tactics in several key areas can affect deliverability. This email deliverability boot camp will help you to increase the ROI of your email operations. What’s at stake when it comes to the dollars and sense of deliverability. How to build and maintain a good reputation through list segregation, bounce management, and preference-aware messaging. How the technical capabilities of an email platform play a crucial role in deliverability—and what to do about it. 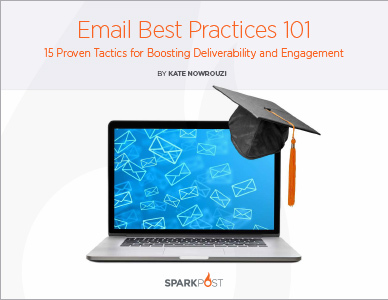 This guide to email best practices will give you the tools to improve your message performance and deliverability and help you to make an immediate impact on your bottom line. Get started with Email 101 today!